For a chance to win tickets, follow Metrocurean on Twitter! 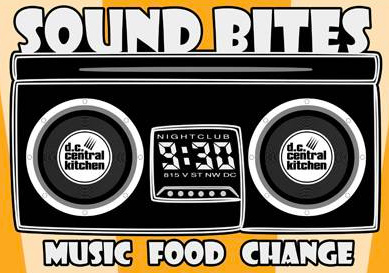 What: For the first Sound Bites concert, local musicians and chefs will set up shop at the 9:30 Club for an evening of music and food to benefit DC Central Kitchen. 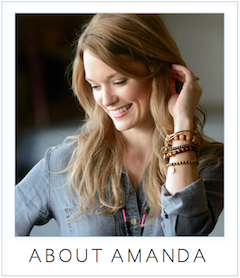 When: Sunday, May 23, 5 - 10 p.m. Details: Participating restaurants, which will serve tastes of their signature dishes, include BGR the Burger Joint, Busboys and Poets, ChurchKey, CommonWealth Gastropub, Cork, EatBar, Fresh Start Catering, Harry's Tap Room, Indique, Jaleo, Maddy's Bar and Grill, Mie N Yu, Marvin, Masa 14, Radius Pizza, Sauca, Taylor Gourmet and Zola Kitchen/Wine Bar. Music performances include DJ Will Eastman, US Royalty, Bluebrain, Fatback DJs, Beautiful Swimmers and the Midnight Kids. The 9:30 Club is donating their venue for the cause. Tickets: $30, with proceeds benefiting DC Central Kitchen, are available at the 9:30 Club box office or online at www.ticketfly.com. I already follow you on twitter. Is there anything else that needs to be done to win?